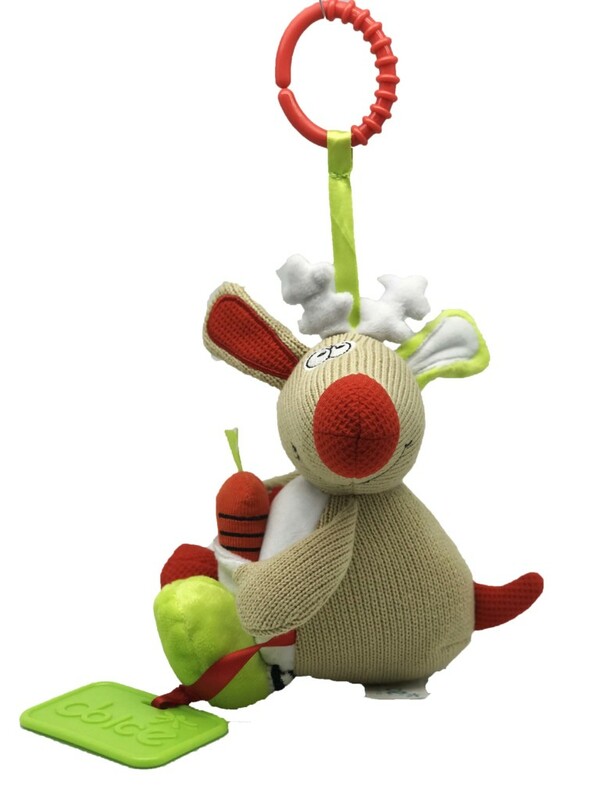 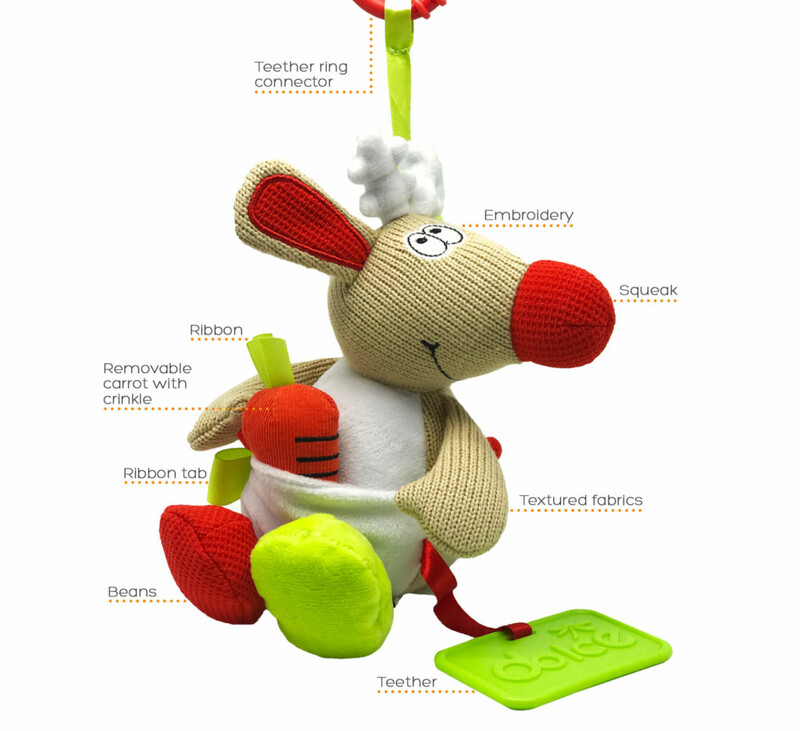 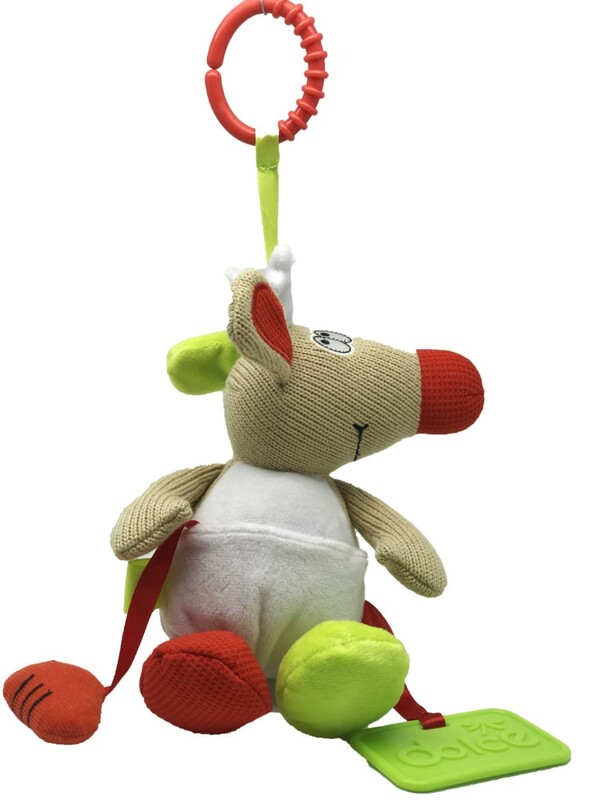 This adorable toy has a removable carrot in the pouch and a squeaky nose to keep children entertained for hours. 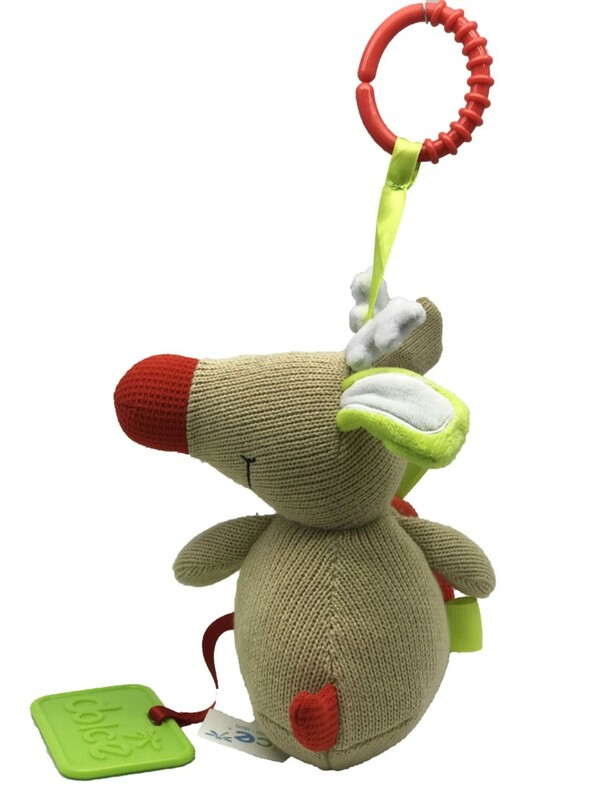 It’s friendly face, embroidered textured fabrics and bean bag interior also make it perfect for cuddles. 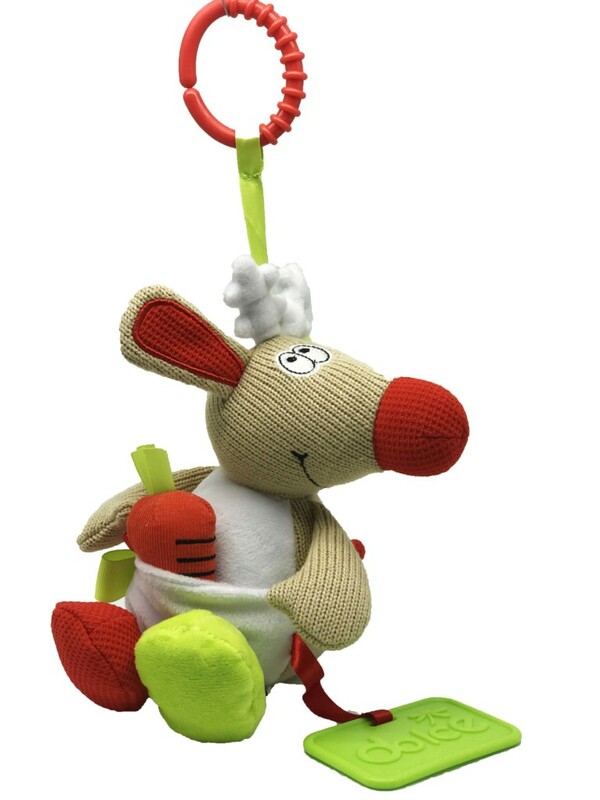 The teether ring means that the reindeer can be played with in the hand or hung from a cot or buggy. 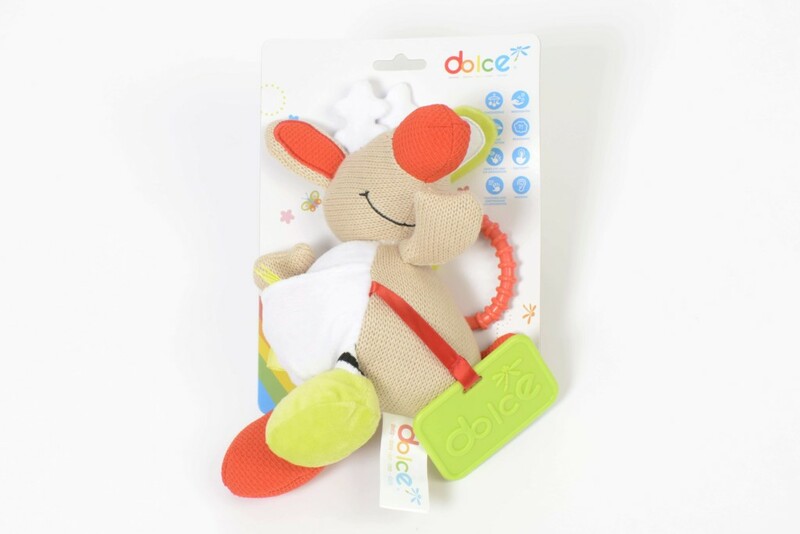 • The carrot that can be hidden or removed by opening the pouch will develop hand eye coordination.